Don't hesitate to contact us by email or call us on +33 (0) 3 85 40 55 50 right now to book your next river cruise in England. England is not the only area available with alpha-croisiere.com. Discover all the other destinations of river cruise that we can rent you. Rent with alpha-croisiere.com your boating holidays to enjoy one of our river and canal boats on England waterways. We offer the largest selection of barges on the market. Consult the list of all our river and canal boats available in England to find the most suitable for you and contact us for more information. 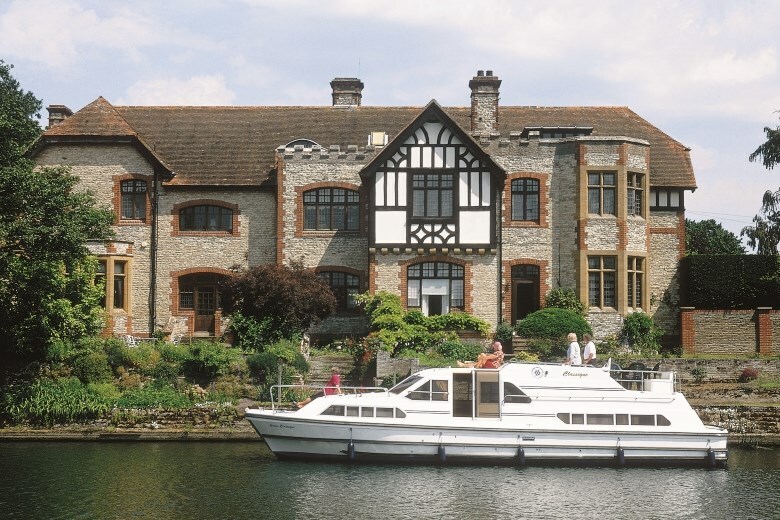 Why not take a ride along the Thames to the west of London to Oxford, where you will get to explore all of the castles, manors and other quintessentially British buildings built along the banks of this regal river over the centuries. On a different note, the shallow rivers and small lakes of the Norfolk Broads provide an opportunity to explore the British countryside by boat, sailing through villages set amid nature reserves over the course of some 300km of navigable waterways with not a single lock in sight. You can travel to England by ferry or by air via the international airports of Heathrow or Stansted. We offer two types of sailing holiday in England - the Thames, for those looking to explore the cultural and historical aspects of the country, and the Norfolk Broads, for a more pastoral, nature-oriented cruise taking in various nature reserves. Civilisations have always established themselves alongside waterways, and England is no exception to this rule. Following the Thames out to the west of London to Oxford will take you to the heart of British civilisation. 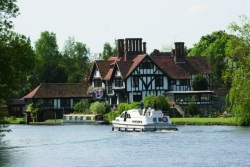 The Norfolk Broads are one of the United Kingdom's national parks, comprising a network of rivers and lakes. Of course, the best way to explore the 300km of lock-free navigable waterways and fourteen lakes that make up the Broads is by boat. The Lake District, one of Great Britain's foremost wildlife reserves, is home to Chinese water deer, kingfishers, herons and great crested grebes, among other things, whilst the villages around the lakes are famous for the thatched roofs and visible frames of their churches. Renowned worldwide as the home of the world's oldest university, Oxford boasts a plethora of priceless treasures, some of them original. The prisons of its 11th-Century castle, for example, have been converted into a hotel, and if the Ashmolean Museum doesn't really appeal to you, there is always the Oxford University Museum of Natural History, where the dinosaur gallery is sure to enthral younger visitors. Obviously, no visit would be complete without taking a look around London. You will no doubt have heard of Big Ben, Piccadilly Circus, Buckingham Palace and Tower Bridge, but are you familiar with Petticoat Lane market, or the Madame Tussauds museum? 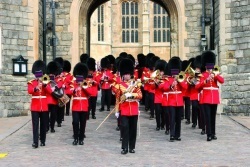 Travelling out through Windsor, you really can't miss its castle, the largest inhabited castle in the world at some 45,000m², where you might even be lucky enough to spot The Queen. Make the most of your stay on the Broads to visit Norwich, capital city of the county of Norfolk and home to not one but two cathedrals, thirty-one churches and three hundred and seventy pubs! And that's not all Norwich has to offer, either. Indeed, the city also boasts England's largest open-air market, many retail chains and just as many independent stores providing ample opportunity to fill your boat with all kinds of souvenirs of your trip.